Larry Soward regards Gov. Rick Perry as “a dear friend,” served as deputy commissioner when Perry headed the Texas Department of Agriculture, and was appointed by Perry to the three-member Texas Commission on Environmental Quality. Even so, Soward, an attorney whose six-year term at the TCEQ ended last year, recently began working as a consultant for environmentalists strongly critical of that very agency and the Perry administration. Soward will assist in their effort during the TCEQ's Sunset review to make it tougher on polluters. Specifically, he is now advising GHASP — the Galveston-Houston Association of Smog Prevention — as it prepares to offer recommendations to the Sunset Advisory Commission conducting that review, which could lead to significant changes in the agency’s operations in the Legislature next year. State agencies go through the Sunset process every 12 years. This time around, the TCEQ’s just-starting Sunset review coincides with other factors that could also bring about major shifts in the state’s approach to air pollution — the area that Soward and GHASP are focusing on. Obama administration officials at the Environmental Protection Agency are pressuring the TCEQ for changes in the way the state regulates industrial emissions. In a separate action, the EPA also recently unveiled a lower national limit for smog, which would have a far-reaching impact in Texas. Meanwhile, air quality issues could be a subject of debate in the governor’s race, especially if it pits Republican Perry, highly critical of the EPA over the smog proposal and other issues, against Democrat Bill White, who worked for tighter regulation of industrial air pollution as mayor of Houston. Given his ties to the governor, Soward’s new alliance with GHASP might seem puzzling to someone who knows only that environmentalists have often criticized Perry’s positions on pollution-control issues and disagreed with TCEQ commissioners’ regulatory decisions. Actually, Soward’s new gig — his only current work after retiring from state service — is a congenial fit for the veteran public official whose career in Texas government began in the 1970s and included high-ranking positions at several agencies. At the TCEQ, he surprised many, arguing that key agency policies were too favorable to polluters and often casting the dissenting vote in 2-1 commission decisions. One example: In 2007, he was the lone commissioner voting against granting an air pollution permit to TXU Corp. for two new coal-fired power plants in Central Texas. Administrative law judges — presiding over a TCEQ hearing hastened by Perry’s controversial “fast-tracking” order (later declared illegal by a district court) — had warned that planned emission-limiting equipment was unproven. While they did lose his supportive voice at the TCEQ, they have now gained the unexpected benefit of his experience and expertise for the Sunset review. While Soward is working solely as a consultant for GHASP, a Houston-based group whose work often focuses on industrial pollution, his counsel is expected to aid other environmental groups during the Sunset process. The Environmental Defense Fund is helping to pay for his consulting work at GHASP. Those two groups, along with others, "are actively working in a coordinated effort to develop and present a consensus approach to common issues in the TCEQ Sunset review process, and the next legislative session to follow," Soward said. A Sunset review involves intense scrutiny of an agency’s operations, leading to a legislative decision on whether it should continue to exist, and if so, with what changes. The Sunset staff produces a report with recommendations to the commission, which comprises four senators, four representatives and two public members. Recommendations that the commission adopts are incorporated into a bill for the Legislature to consider. For the TCEQ, that will happen in 2011. Before the commission votes, the public — as individuals and through groups such as GHASP — will have opportunities to provide input, including formal hearing testimony to the commission. "Commissioner Soward's involvement with our organization as we wade into the sunsetting of the TCEQ is huge,” said Matthew Tejada, GHASP’s executive director. “Right now, we know that things are broken within the TCEQ and we generally know where the break has occurred,” Tejada said, adding that Soward’s “insight and involvement will guide us in not only finding the exact point where things within the TCEQ have broken down, but give us the best opinion possible on how to fix those breaks." The Sunset review is unfolding as the TCEQ and EPA negotiate changes that federal officials want in the state's approach to regulating industrial air pollution. Last September, the EPA declared that key elements of Texas’ program for issuing air permits do not comply with the federal Clean Air Act and said “significant changes” are needed. Unless the federal agency is satisfied, it could take back regulatory powers currently delegated to the state. As a commissioner, Soward also complained about the TCEQ’s permitting procedures. The Dallas Morning News reported, for instance, that he made this pronouncement when he failed to block the air permits for the two Central Texas coal plants last summer: "I just hope someday this agency's permitting process will address the issues that legitimately need to be addressed. It won't occur in my term. It may not occur in my lifetime." Air quality is just one of the TCEQ's areas of responsibility, but will be “the 500-pound gorilla” in the Sunset review, Soward said in an interview, predicting that three major aspects of air pollution regulation will be prominent — the state agency's policies regarding enforcement, permitting and how the public gets to participate in the regulatory process. The major aspects of those issues that will be in the spotlight during the Sunset process — and already figuring in negotiations between the TCEQ and EPA over the federal agency’s dissatisfaction with key parts of the state air program — have been contentious for years. In response, the TCEQ undertook what Soward called “a huge enforcement review” that produced “a lot of positive things.” The broad area of penalty policy, including such basic questions as how big penalties should be and when they should be “enhanced,” remains “an issue that’s never been satisfactorily resolved on anybody’s part,” he added. Two issues — permitting and public participation — were explicitly linked in the EPA’s critique of the state air program, and its regulation of industrial sources of air pollution. The EPA also said that without acceptable changes it would disapprove three state programs for issuing air permits because they don’t adequately review major industrial emission sources, which include power plants, refineries and chemical plants. Debate over the permit issues raised by the EPA has gone on for years. Industry officials have argued that some elements targeted by the EPA “streamlined” the permitting process, which the TCEQ maintains has done a good job of reducing emissions. Environmentalists and other critics, meanwhile, contend that state permit procedures aggravate longstanding problems such as the “cumulative impacts” on neighboring communities of pollution from numerous permit-holding plants, which may individually comply with permit limits. The state’s flexible permit program, one of the three permit programs cited by the EPA, especially poses “major points of conflict,” Soward said. A flexible permit essentially covers an entire industrial plant, setting average site-wide pollution limits instead of singling out individual emissions points, which can be extremely numerous, within the facility. Critics complain that emissions that would individually be violations are excused because the site-wide limit is not exceeded. Two months after the EPA proposed to disapprove flexible permits and other key aspects of the Texas air program, the Obama administration gave another strong signal that it wanted major changes in that program by appointing Al Armendariz, an engineering professor at Southern Methodist University, as regional administrator of the EPA. Previously, Armendariz worked closely with Texas environmentalists and was an outspoken critic of the state’s regulation of air pollution. “Texas has allowed big utilities and industry to operate any way they want to for decades,” he wrote in an op-ed piece in The Dallas Morning News in 2008. Soward said he sees the possibility of “real confrontation ahead” between the state and the EPA over air issues. With the state’s gubernatorial primary vote less than two months away on March 2, Perry has made his willingness to stand up to Washington a key theme in his campaign, often complaining about the costs for Texas of EPA regulations such as the stricter smog standard proposed by the federal agency on January 7. The EPA's proposal of a new and lower national health standard for ground-level ozone, smog's main ingredient, would have a far-reaching impact on Texas, making it harder for longtime ozone violators like Houston and Dallas-Fort Worth to comply, and imposing ozone-cutting requirements in some other counties that have complied in the past. “The EPA’s only consistent target has been the target on the backs of Texas workers and taxpayers,” Perry said of the new smog standard. 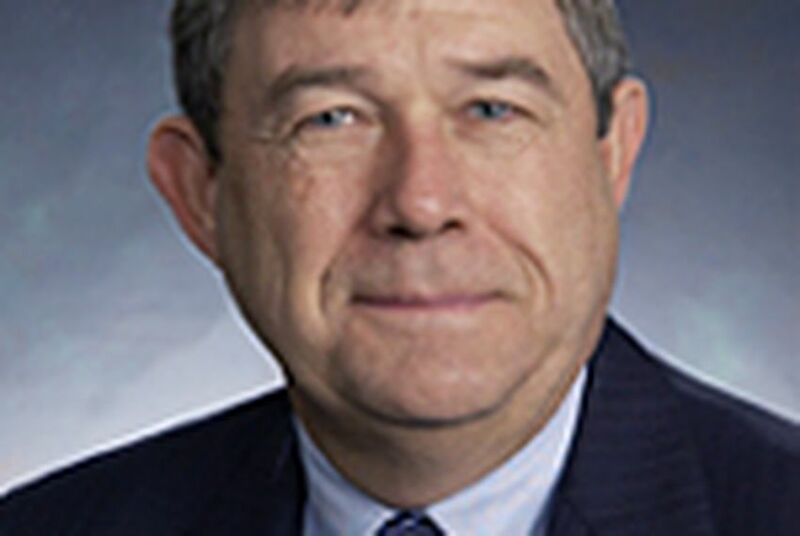 His office and his appointee as TCEQ chairman, Bryan Shaw, said the state might file suit to block the new ozone limit. Raising the possibility of litigation may even indicate a widening split between Austin and Washington over air issues, Soward said. "I'm not sure how a suggestion that Texas might sue the EPA if it adopts the new ozone standard fosters much of a Texas-EPA partnership." Meanwhile, Perry’s potential Democratic opponent in November, former Houston Mayor White, has made statements indicating air policy could provide a topic for sharp debate in the general election campaign if the two men win their parties’ nominations. When the EPA announced its proposed rejection of the state’s permitting programs last September, the San Antonio Express-News reported White had “met with senior EPA officials” about the matter and that he believed the cumulative impacts issue was “a major problem” for industrial communities because the TCEQ issues permits that fail to account for pollution from neighboring facilities. Bill Dawson is athe editor of Texas Climate News (www.texasclimatenews.org), an online magazine published by the Houston Advanced Research Center. He was formerly the Houston Chronicle's environment writer and a senior writer for the Washington-based Center for Public Integrity.